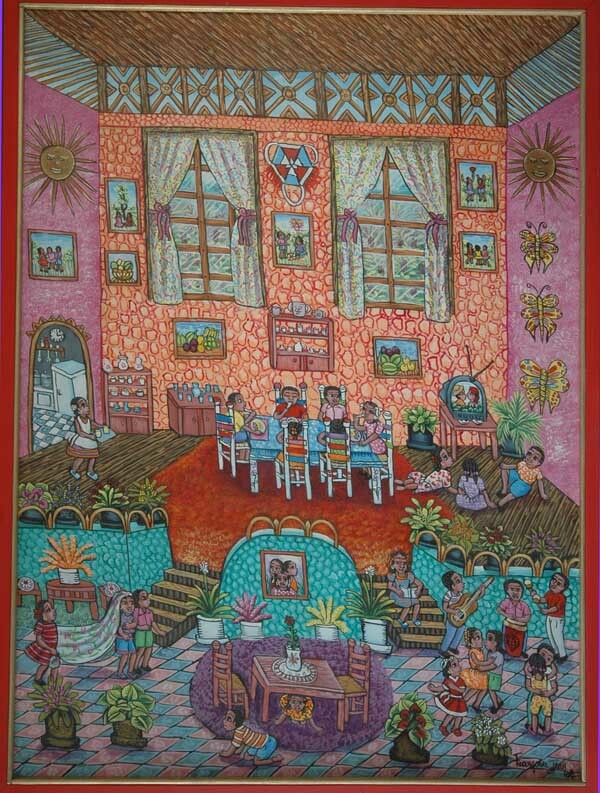 Francoise Jean was born in 1953 in the village of L'Anglais in southern Haiti. 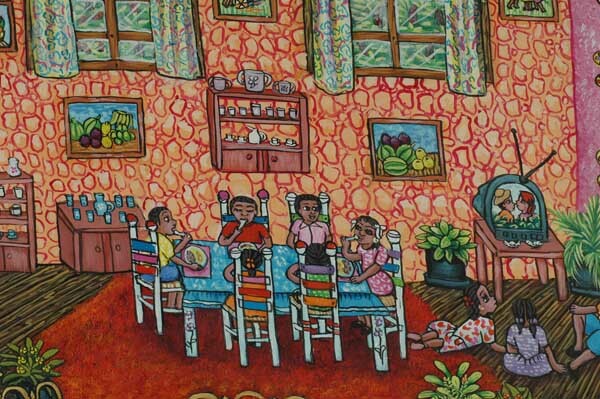 She was interested in drawing as a child and when she moved to Port-au-Prince as a teen ager, she began painting with Petion Savain and when he passed away in 1973, her teacher was Jean Richard Coachy. She paints children only, saying that children are her inspriration.